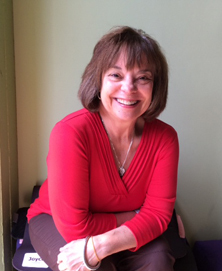 Prana Yoga Training is pleased to welcome back Judith Hanson Lasater. We are located in Coral Gables, Florida. This immersion will assist students in deeply understanding the anatomy and movement principles of the body is an invaluable tool for yoga teachers and serious students. Not only does it help your teaching, it also enriches your own practice. In this workshop we will practice Active and Quiet poses. But our work will be focused around learning specific anatomy by first feeling it in our bodies and seeing it in other bodies. Often participants in this workshop realize they already know a lot about anatomy because they feel it bodily rather than have the ability to verbalize it. The important next step is that we we will uncover together he movement principles (kinesiology) and be able to name the anatomical parts that are moving. It really doesn’t help, for example, to know where the biceps muscle is if you don’t understand how it works in various ways and with various other muscles. Our practice is about the moving, NOT static body. (2) Pay $550 on First Day of Training. Deposit is non refundable after 11/1/15. All requests for for a refund for deposit must be received in writing by 11:59:59pm on 10/31/15. Any request received after deadline will be honored for a class credit only. Prana Yoga reserves the right to change course time based on presenters availability. Judith Hanson Lasater has taught yoga since 1971. She holds a doctorate in East-West psychology and is a physical therapist. She is president of the California Yoga Teachers Association, and serves on the advisory boards of Yoga Journal and Healing Lifestyles and Spas. Her yoga training includes study with B. K. S. Iyengar in India and the United States. She teaches yoga classes and trains yoga teachers in kinesiology, yoga therapeutics, and the Yoga Sutra in the San Francisco Bay Area. She also gives workshops throughout the United States, and has taught in Australia, Bolivia, Canada, England, France, Indonesia, Japan, Mexico, Peru, and Russia. Currently, Judith is consulting on four studies being conducted by the National Institutes of Health (NIH). These studies focus on the use of restorative yoga to reduce hot flashes in menopausal women, to reduce metabolic syndrome, to reduce anxiety during drug rehabilitation, and for women in treatment for breast cancer. Judith Hanson Lasater lives in the San Francisco Bay Area with her family.